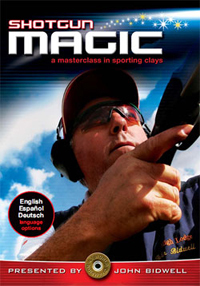 Join 10 times FITASC Sporting World Champion, European and British Champion John Bidwell as he takes you on a shooting Masterclass at his High Lodge Shooting School in Suffolk. Set in 120 acres of countryside with 16 acres of woodlands shooters have a choice of over 150 fully automatic traps. 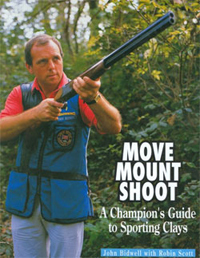 Perfected over many years, John Bidwell’s Move-Mount-Shoot technique has become world renowned for its consistency and ease of use and has contributed to his success as both an individual competitor and for the last 30 plus years as a member of the successful great Britain Shooting team, representing his country at top international events. Sporting clays enjoys immense popularity – a happy state of affairs brought about, largely, by the fact that it is a game which can be played by people of all ages and both sexes; one which creates a lasting sense of achievement among its participants and, more important, one that allows individual skill to come to the fore in no small way.